Today, LG has launched a new upper mid-range smartphone called as LG Stylus 2 Plus in Taiwan. Along with it, the company has also unveiled the LG Stylus 2 & LG K8 smartphones. We have covered a lot of stories about the LG K8 & Stylus 2 as they are already available in all the major markets. The LG Stylus 2 Plus is the latest device and is upgrade in every aspect over Stylus 2. The LG Stylus 2 Plus with improved specifications is priced at 10,900 TWD (approx Rs. 22,500) and will be available for sale in Taiwan starting late June. Coming to the specifications part, the LG Stylus 2 Plus flaunts the same 5.7-inch (1080×1920 pixels) full-HD display with 386ppi as pixel density when compared to Stylus 2 that is just limited to HD resolution. The device comes equipped with latest Snapdragon 430 octa-core processor clocked at 1.2GHz clubbed with Adreno 505 GPU while the predecessor comes powered by Snapdragon 410 SoC. The RAM and storage are also bumped from 2GB/16GB to 3GB/32GB in the Stylus 2 Plus smartphone that can be further expanded to 2TB via microSD card slot. 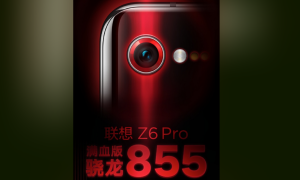 On the camera section, the smartphone sports a 16MP primary camera with LED flash and an 8MP front-facing camera for video calling and selfie lovers. The LG Stylus 2 Plus follows the same design language as its predecessor with power and volume rockers placed on the back of the unit. It also includes an optimized stylus with a nano-coated tip that offers many stylus features developed by LG like Pop Memo, Pen Keeper, Pop Scanned and Capture+. It runs on Android 6.0 Marshmallow based LG 5.0 UI laid on top. The handset powers a 3000mAh battery that is rated to offer upto 10 hours of talk time and can last upto 300 hours of standby time. It supports dual sim dual standby with 4G-LTE and includes other standard connectivity options like 2G/3G HSPA+, Wi-Fi, Bluetooth 4.1, NFC, GPS/A-GPS and microUSB 2.0 port with OTG. The dimension of the device measure 155 x 79.6 x 7.4 weighs around 146 grams and will come in Black, Brown and Gold color options. As of now, the company is silent about the release of the Stylus 2 Plus smartphone in other markets. Stay tuned for more updates! 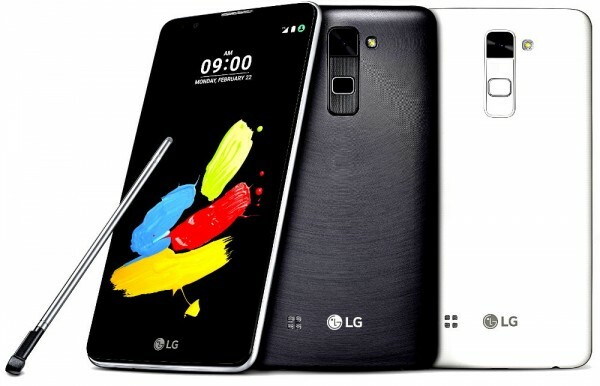 A quick recall, LG has recently launched the LG Stylus 2 smartphone in India priced at Rs. 19,500 and will be available for purchase in the country soon. The smartphone features 5.7-inch HD display, Snapdragon 410 SoC, 2GB RAM, 16GB storage, 13MP primary camera, 8MP front snapper and 3000mAh battery. The device comes with an optimized nano-coated tip stylus and runs on Android 6.0 Marshmallow out of the box.